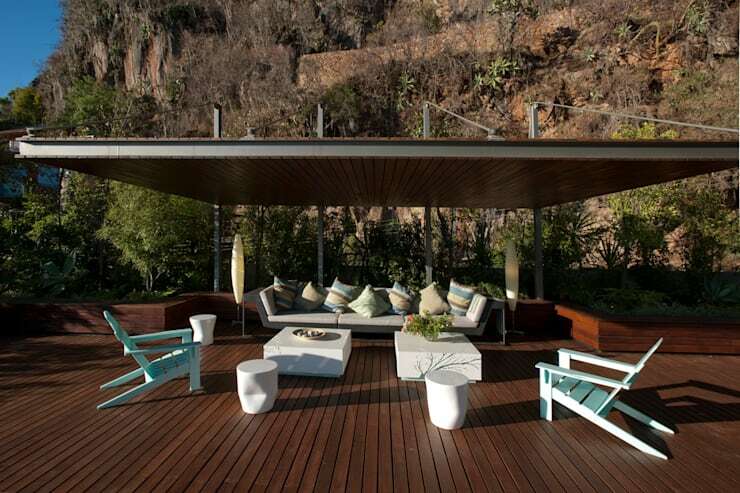 6 Fab Ideas for Roof Terraces! Do you enjoy the twilight? In a place that you like to be when the sun rises or sets? The most suitable area to do so may be the one space that no-one ever thinks about. This is where you can enjoy the most panoramic views of the city and, if you're lucky, you can even see a nearby park with a gorgeous green zone. Today we are talking about your roof! This is a place that deserves some careful studying and dedication. 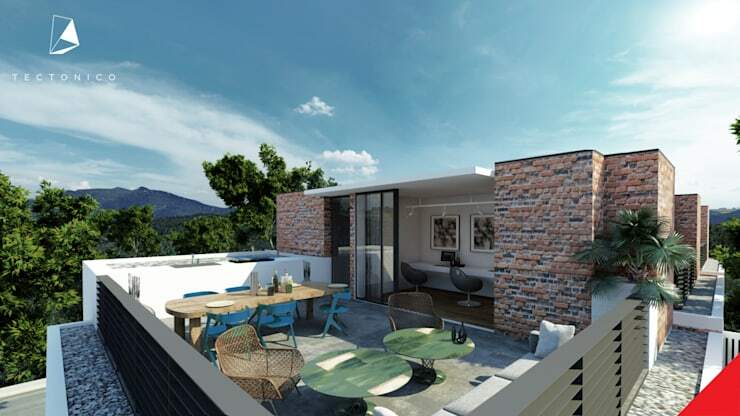 Perhaps it is the ideal place to install a terrace, where you can organise and enjoy fun times ahead with friends and family. In this book of ideas, we give you seven spectacular suggestions. Among them you will find one that suits your tastes and circumstances! Enjoy this space once it has been built, especially how it enlarges and extends the house. If you have an unused area outside of your house, add a pergola to create a space that extends from the house. You can use it as an outdoor living room and an area for guests on days when you want to host a big lunch or an afternoon braai. 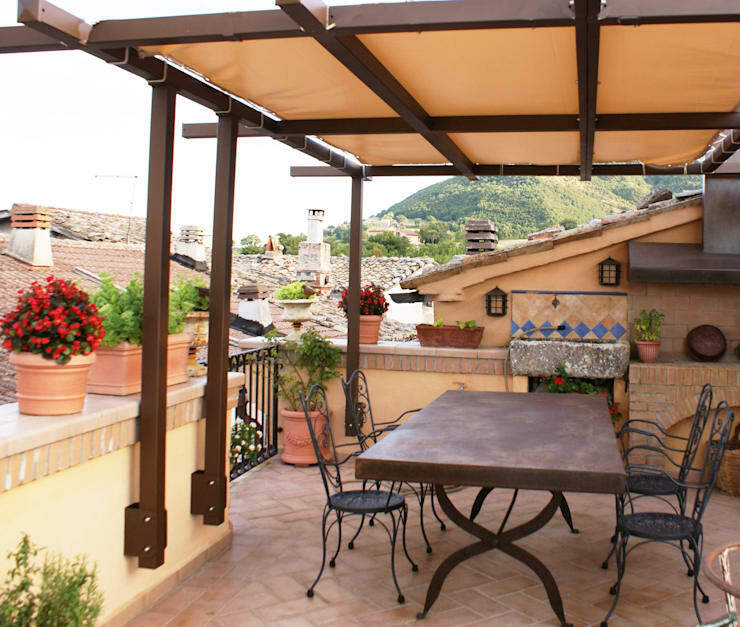 There are many uses for this type of area, depending on the type of pergola that you choose. It may be wood, bamboo, metal, covered or transparent. There are so many different models available! Read our article on how to build a pergola: a step-by-step guide. A terrace is not complete with a beautiful, outdoor table. There is nothing better than eating outdoors when the days become warm and more inviting. Choose appropriate furniture where the aesthetics meet the style of the interior of your home, as you want consistency and harmony. If you have a braai area, even better. Do not forget, however, to install good lighting and a small area to prepare the food and wash the dishes in this space. Do you notice, in this design by Au Dehors Studio, that there is a small sink carved out of stone? This is a more rustic example. There are more sophisticated solutions with real outdoor kitchens that include a refrigerator, if you so wish. 3. Is it a room? 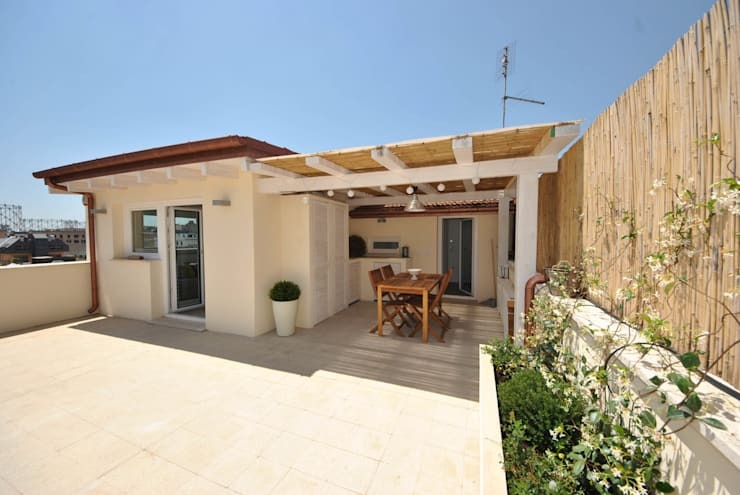 If you want to expand the social area of your home, then the terrace is for you! Install a terrace and you will create an additional room to share with friends, without having to take up space in the interior of the home. If you make your roof a terrace, creating a top floor , make sure that a professional looks at the structure of your home. It never hurts to make sure that all is well, not only structurally, but also in terms of the rules of construction in your neighbourhood. In this private space outside of your home, where you can seek escape from your busy life, warmth and comfort are essential. This is why you need to choose the furniture carefully. Remember that the weather can damage the furniture! If you can, select solid pieces that are suitable for outdoor environments and protect them appropriately from the rain, wind, sun and hail. Go for waterproof and easy to wash cushions too. Doesn't this image just inspire you? It even includes a small coffee table. 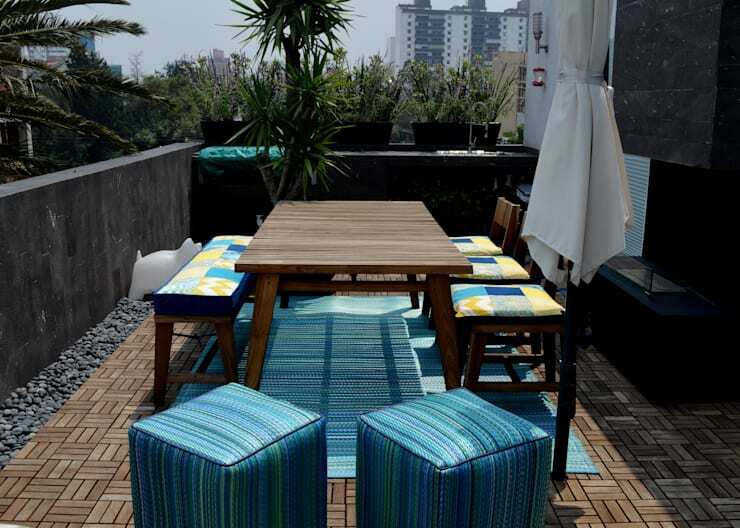 Have a look through these homify terrace furniture products for inspiration. One of the simplest ways to give new life to your terrace is to change the floor. Today, you can find affordable options that you will be able to install yourself, without the help of a professional. It will create a whole new look and feel throughout your terrace. In some stores, you can find wooden pallets that you can stain brown, like this floor, by Peculiar. They've also introduced colours and other textures and materials into the space. These pallets are a good choice, not only for the price but because of the ease of application. Don't forget, however, that you should clean them properly so you can't see the products listed on the material! If the terrace space is large, then you can afford to create a luxurious, social area here. A sofa, suitable seating for the outdoors or just some table or chairs can work for this space. Then you have the perfect dining area outside for friends and family and it will be perfectly prepared. All that you need to do is adorn your table with flowers and a beautiful table cloth. Now you are ready to party! 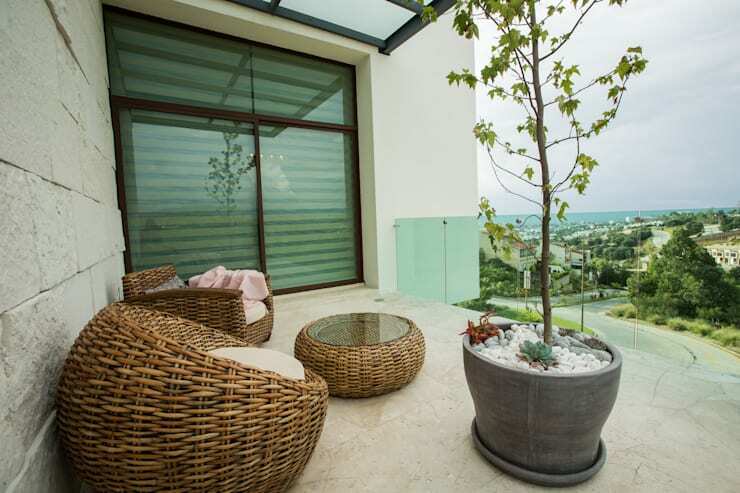 Do you have an outdoor terrace?